In the opening stages of the Winter War the Soviet Eighth Army launched an offensive against the Finnish IV Army Corps north of Lake Ladoga. 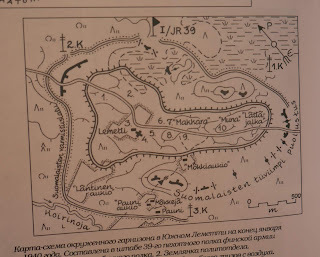 The plan was to take Sortavala and Joensuu before attacking the main Mannerheim defence line (which lay across the Karelian Isthmus) from the rear. 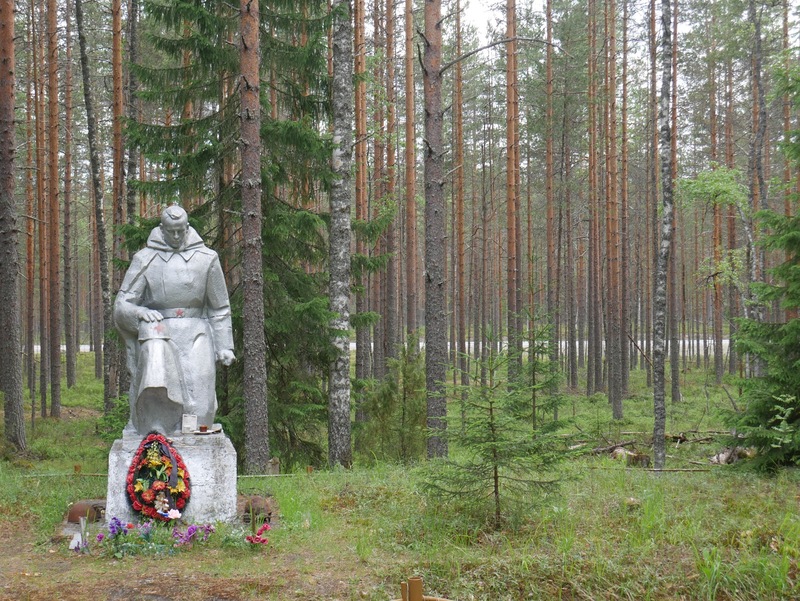 With the help of local guide Sergei Gurin and armed with Bair Irincheev's book War of the White Death we spent a day exploring a part of the battlefield made famous by the effective use of Motti tactics by the Finns. The Finnish word Motti denotes a pile of logs or timber, held in place by stakes - ready to be chopped or sawn into convenient lengths of firewood. Motti tactics as used by the Finns in the area north of Lake Ladoga - in proximity to what became known as the Kollaa Front - are usefully described in William R. Trotter's book The Winter War: The Russo-Finnish War of 1939-40. Firstly, reconnaissance to get a fix on the enemy and identify an appropriate area for encirclement. Secondly, short sharp attacks to split a Russian column into separate components and finally, the detailed destruction of each pocket starting with the weakest. Sergei built on this description during our our walk around the Lemetti pocket. 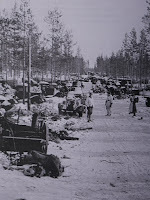 The Red Army attacked in brutal winter weather and traffic was inevitably restricted to a few ice-bound arterial roads. A concerted attack on a column on the march would quickly create a split. When part of a column was 'isolated' in this way the encircled troops would block the road at each end of the surrounded component and then throw up a defensive perimeter. 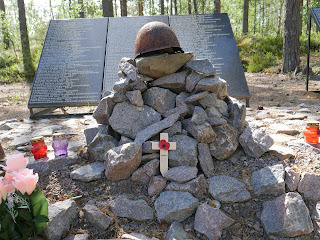 The first thing the well equipped Finns would aim for were the fires and the field kitchens. 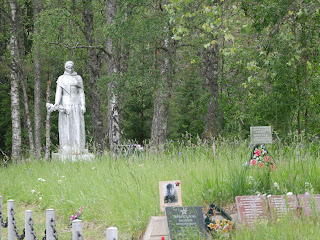 During the cold nights Soviet soldiers would gather around the fires and they therefore offered an easy target. The field kitchens were critical - without hot food men would soon die. 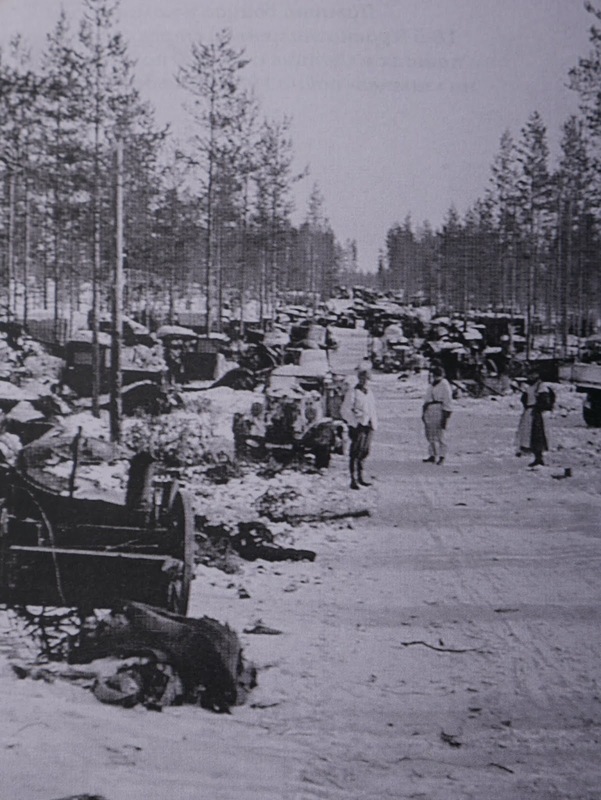 A series of Finnish counter attacks were launched in the opening days of 1940 and on the 6th Jan the Soviet 18th Rifle Division, the 168th Rifle Division and the 34th Light Tank Brigade were encircled in the Lemetti, Uomaa and Kitila areas. 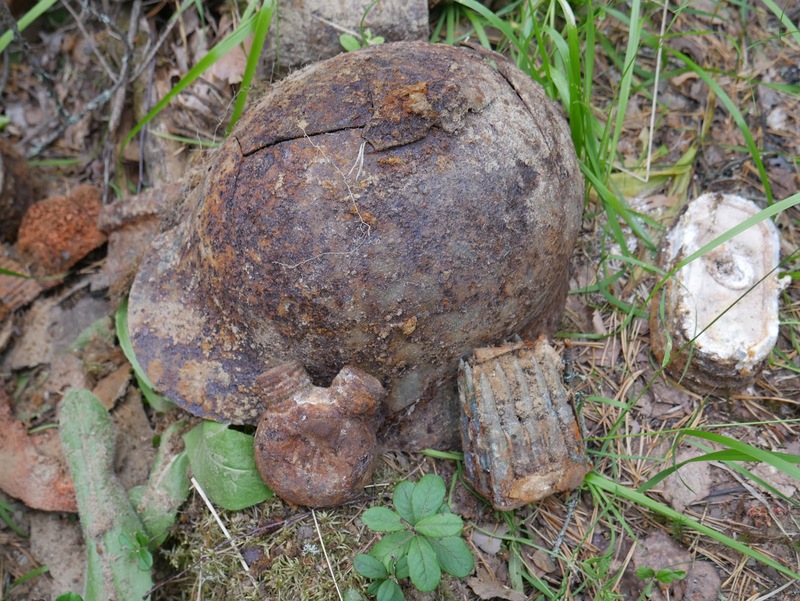 Our battlefield walk took us down the 2km length of the Lemetti Motti - an area defended until 17 February when the survivors attempted - with limited success - to break out. Unfortunately 'black diggers' have been active in the more accessible parts of the battlefield. 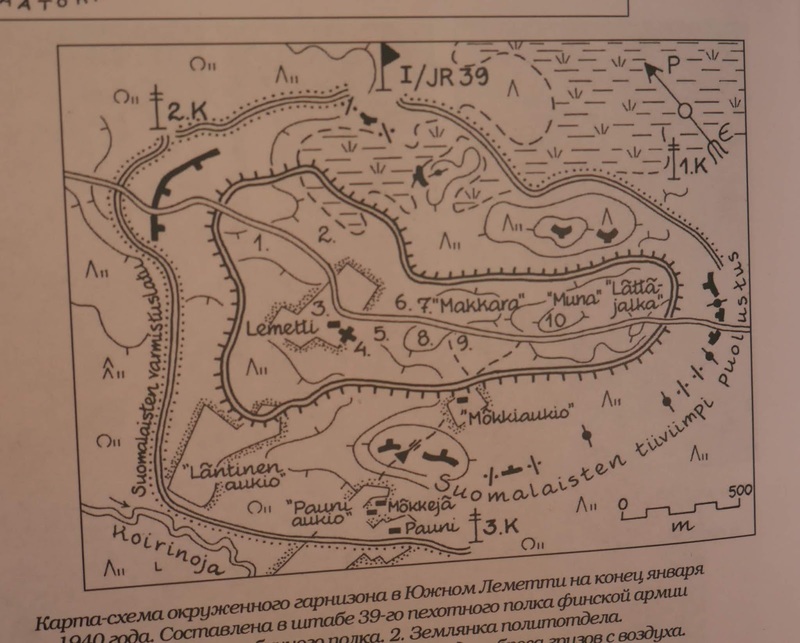 Since the Konrashov's 18th Rifle Division had held the line for so long, the perimeter is still very much evident - delineated by tranches, dug-outs and foxholes. 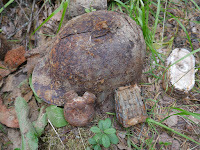 The bottle that can be seen in the picture on the left is a cleaning container for a Soviet Mosin-Nagent rifle. One side contained oil and the other neat alcohol. In his book War of the White Death Bair Irincheev quotes some of the eye witness accounts from the desperate struggle at Lemetti. For example he quotes the Commander of the 18th Rifle Division reporting on the 29 Jan that "we have been encircled for sixteen days. We have five hundred wounded. No ammunition left, no bread. Hunger, sickness and death are here." Sergei described it as a "mini Stalingrad". Air supply for the encircled Soviet troops was irregular and inefficient. There was no help forthcoming from the Soviet LVI Rifle Corps or the Eight Army and in one month of fighting the bulk of the 18th rifle Division was destroyed. 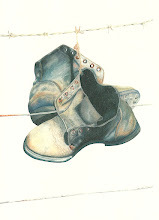 Bair quotes a figure of 8,754 fatal casualties for the 18th and a further 1,707 for the 34th Light Tank Brigade. Sometime after the breakout - in March 1940, the surviving Commander of the 18th Rifle Division, Kombrig Kondrashov, was arrested by the NKVD and executed. Clearly blame had been apportioned! 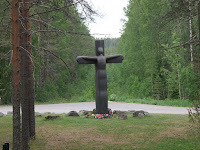 The area to the south of Lake Syskyjarvi in which this set piece battle was fought consists of extensive pine forest interspersed with lakes and accessible by a small number of gravel roads. 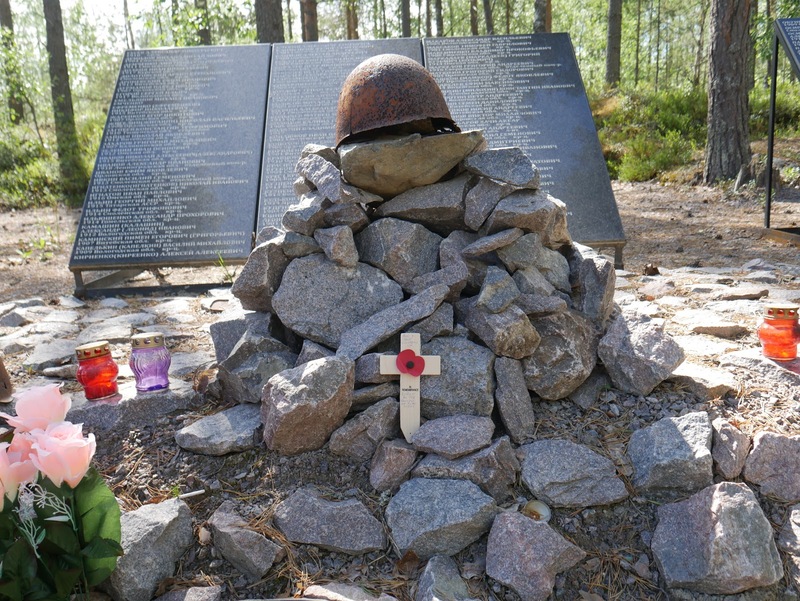 The ground is pitted with trenches and dugouts and, where the fighting was thickest, there are numerous small cemeteries and individual memorials. 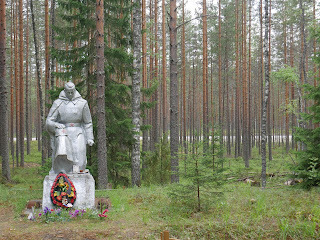 My review of War of the White Death: Finland Against The Soviet Union 1939-40 by Bair Irincheev. I'm grateful to Bair for his hospitality in Vyborg - a topic I will be covering soon.